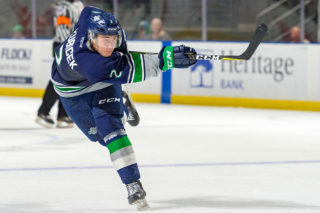 KENNEWICK, December 1, 2017 — Zack Andrusiak had two goals and Matt Berlin made 23 saves to lead the Seattle Thunderbirds to a 5-1 win over the Tri-City Americans Friday night at the Toyota Center in Kennewick. 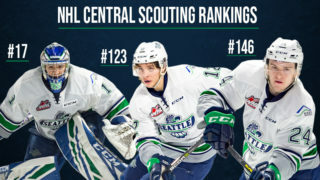 The T-Birds return to accesso ShoWare Center Saturday to play Kamloops Blazers at 6pm. The Americans held their Teddy Bear Toss Night at the game and the T-Birds kept the bears and other stuffed animals in the stands until the 12:47 mark of the third period. Berlin improves his record to 8-6-1-1 with the win. Seattle (12-12-2-1) opened the scoring at 11:51 of the first period. Nolan Volcan skated into the high slot and took a wrist shot as Sami Moilanen came into the low slot. Moilanen tipped the shot past Tri-City goalie Beck Warm for his team leading 15TH goal of the season. The Americans outshot the T-Birds 13-9 in the first period. The T-Birds took a two-goal lead 1:54 into the second period. Donovan Neuls passed the puck from behind the Seattle net to Austin Strand in the right corner of the Seattle zone. Strand passed the puck to Zack Andrusiak who carried it up ice and passed it back to Neuls in the neutral zone. Neuls gained the Americans zone on the right wing and then passed it back to Andrusiak in the high slot. Andrusiak skated into the low left circle and from a sharp angle beat Warm over the goalie’s right shoulder. Noah Philp gave the T-Birds a 3-0 lead courtesy of a nice bounce at 9:28 of the third. Nikita Malukhin had the puck in the left corner and shot the puck around the boards. The puck bounced off the glass right to Philp all alone in front of Warm. Philp beat the goalie for his sixth goal of the season. Tyler Carpendale had the second assist. The assist was Malukhin’s first point as a T-Bird. Andrusiak struck for a second time in the second period with four seconds left in the period. Neuls took a shot from the right point that rebounded off Warm to the left corner. Strand pinched down from the left point into the corner, got the puck and centered it to Andrusiak. Andrusiak beat Warm on the glove side for the goal. Seattle outshot Tri-City 10-9 in the second period with the Americans have a 20-19 total advantage after two periods. Patrick Dea took over in net for Tri-City to start the third period. Warm had 15 saves on 19 shots in two periods and his record is now 7-4-0-0. Tri-City (14-9-2-0) got on the board at 12:47 of the third period on a goal from Dylan Coghlan. Jordan Topping and Riley Sawchuk had the assists. It was the Americans Teddy Bear Toss Night and fans threw teddy bears and stuffed animals on the ice after Coghlan’s goal. There was a 15-minute delay after the goal to clean up the bears. Carpendale scored at 14:39 of the third to make it a 5-1 lead. Blake Bargar had the puck in the right corner and centered it to Carpendale in front of Dea. The goalie stopped the first shot but Carpendale buried his own rebound. He has goals in his last two games. The T-Birds outshot the Americans 17-4 in the third period and 36-24 in the game. First period – 1, Seattle, Moilanen 15 (Volcan), 11:51. Penalties – James, Tri (slashing), 1:10. Bench, Tri (too many men-served by Focht), 3:27. Ottenbreit, Sea (interference), 7:11. Kalinichenko, Tri (holding, roughing), 15:45. Volcan, Sea (roughing), 15:45. Bargar, Sea (10-minute misconduct), 15:45. Third period – 5, Tri-City, Coghlan 7 (Topping, Sawchuk), 12:47. 6, Seattle, Carpendale 2 (Bargar), 14:39. Penalties – James, Tri (boarding), 2:26. Ottenbreit, Sea (tripping), 8:53. Olson, Tri (tripping), 16:31. 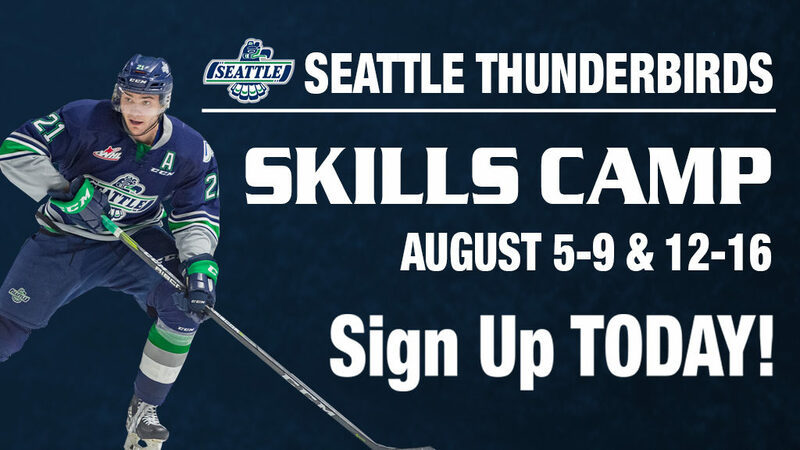 Shots on goal – Seattle 9-10-17 36, Tri-City 13-7-4 24. Goalies – Seattle, Berlin 24 shots-23 saves (8-6-1-1); Tri-City, Warm 19-15 (7-4-0-0), Dea 17-16. 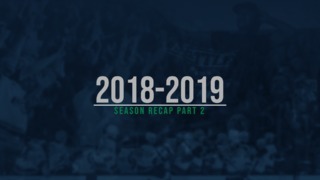 Power plays – Seattle 0-6; Tri-City 0-4. A – 4,625. Referees – Bryan Bourdon, Mike Campbell. Linesmen – Trevor Shively, Daniel Spore.